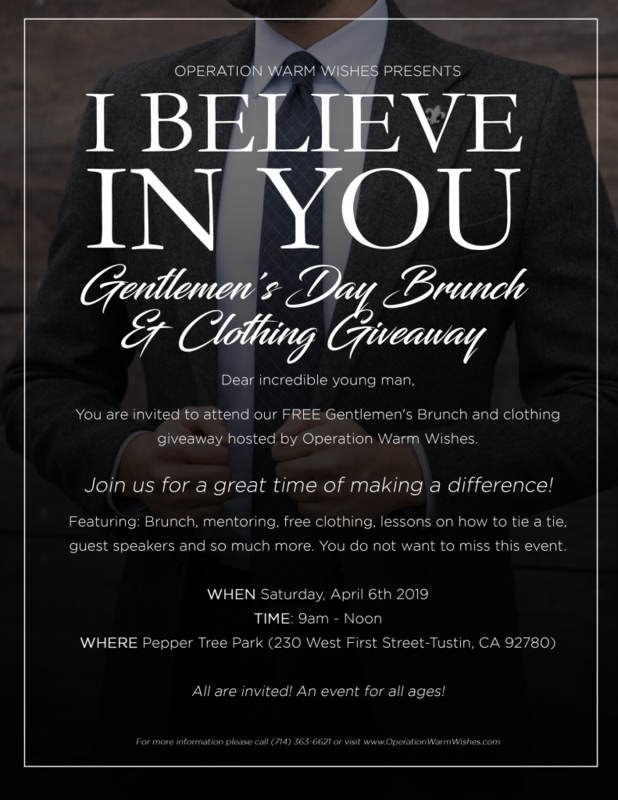 You are invited to attend our FREE Gentlemen’s Brunch and clothing giveaway hosted by Operation Warm Wishes. Join us for a great time of making a difference! Featuring: Brunch, mentoring, free clothing, lessons on how to tie a tie, guest speakers, music and so much more. You do not want to miss this event. All are invited! An event for all ages! For more information please call (714) 363-6621.